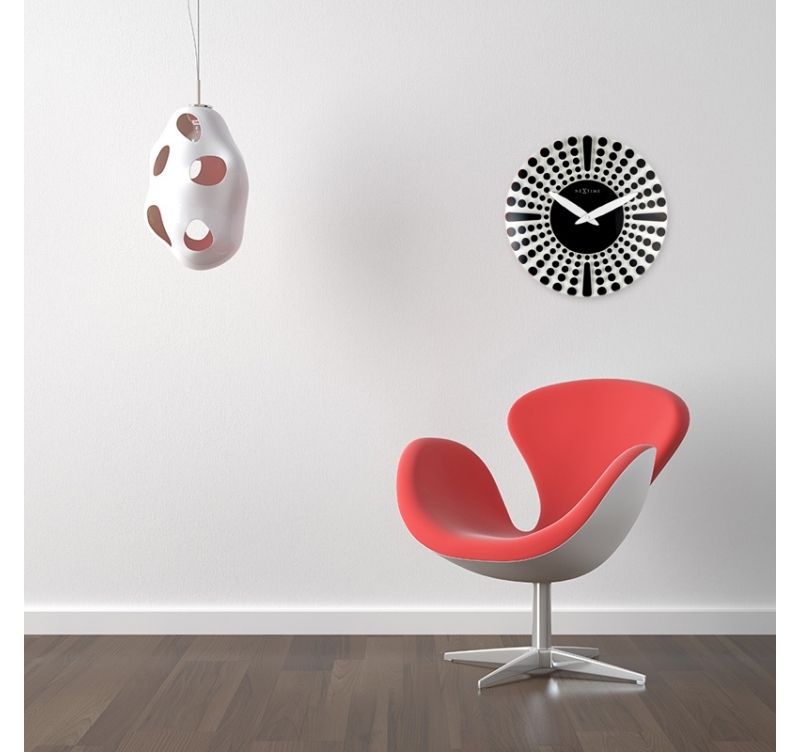 Choose this original wall clock to refine your off-the-wall and modern interior deco. Its face is made of transparent glass, the central movement is hidden behind a black disc. Free 48 / 72 h delivery in metropolitan France and Belgium for your vintage wall clock. As much surprising as fun, this glass wall clock will divinely match an urban decorative style in a New York loft fashion. Two large white hands stand out on the black disc that hides the central movement of the wall clock. The rest of the face is totally transparent with large black dots that are both decorative and useful to read hours. The colour of your wall can be seen through bringing you a truly modern play of matters and effects with this vintage wall clock. 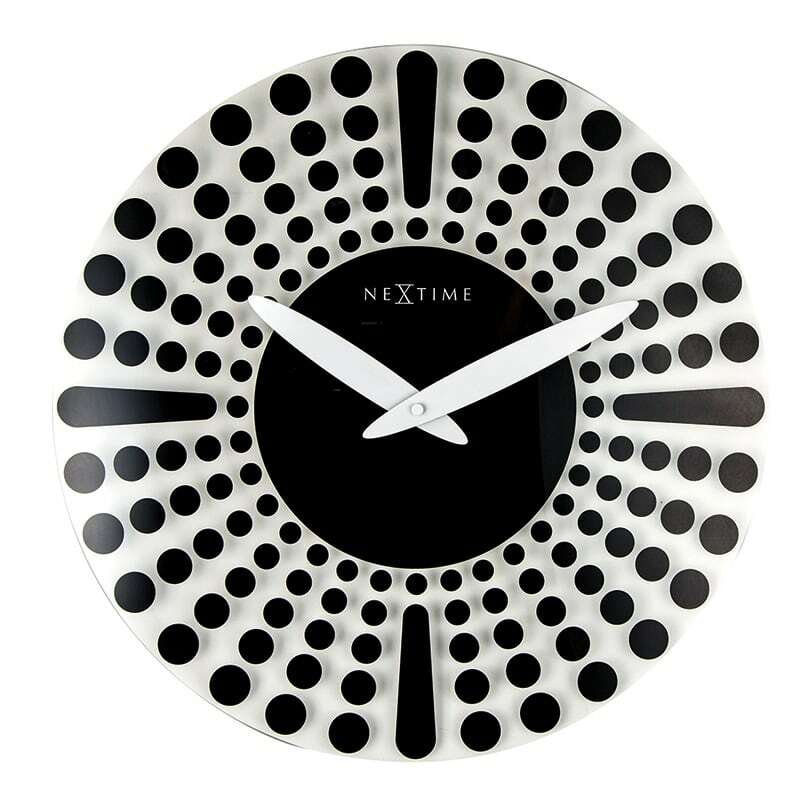 If your dining area is already in black and white this kitchen wall clock will be perfect to complete your decoration. The wall clock can also be found in red.